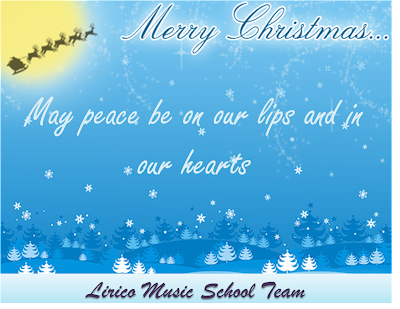 Here at Lirico Music School, we want to wish all our students, teachers, customers and friends a Merry Christmas and a Happy New Year! Have You Heard Of Audiation? Audiation is the ability to "hear" music when no musical sound is present. When you audiate, you have internalized music and are "thinking" music. For example, have you ever found yourself with a song "going through your head?" That is one demonstration that you're audiating. Being able to hear music in this way is an important part of musical literacy, just as thinking thoughts without speaking them aloud is an important feat in language and thought development. "1 ABSORBTION : hears and aurally collects the sounds of music in the environment. 2 RANDOM RESPONSE : moves and babbles in response to, but without relation to, sounds of music in the environment. 3 PURPOSEFUL RESPONSE : tries to relate movement and babble to the sounds of music in the environment." ~~A Music Learning Theory for Newborn and Young Children, by Edwin Gordon, p.38. Perhaps you've noticed some of these behaviors in your child. You can enjoy observing your baby's responses to music and knowing that his musical growth is in evidence. Being able to audiate will benefit Baby as he grows and learns. Music can help him relax, cope with feelings, celebrate, create, and express. Audiation will allow him to carry these benefits and the gift of music with him wherever he goes! Omitting parts of familiar songs is one of the simplest ways to help children begin to "fill in the blanks" and hear music internally. Eg. In the "Sarasponda" activity, as the song grows familiar, add in an audiation twist. Leave off the final "oh!" of the song; then stop completely and observe and listen to Baby to note her reactions, Allow Baby several opportunities to offer the conclusion. Regardless of her response, you can be sure that this fun activity is engaging her listening and cognitive skills. 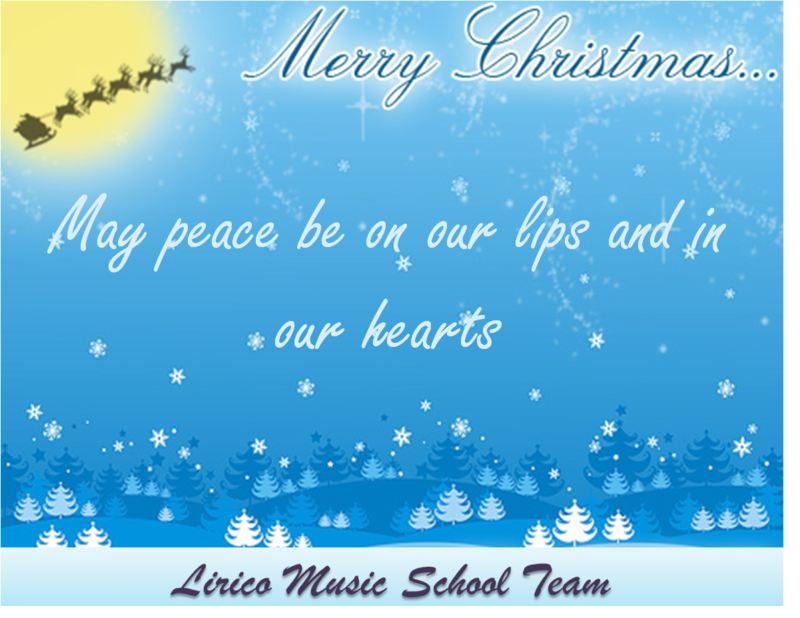 Fill your child's day with music! Whether you're a shower time singer or a trained musician, there is much that you can do at home to support and encourage your baby's musical development. - Sing to your baby. When Baby is distressed sing a soothing song. Baby will begin to internalize the song, and someday she may be able to think about or hum the song on her own to comfort herself when she is distressed. - Play music often. Put Kindermusik Home Cd in to play at every opportunity. You may begin to see some of the stages of audiation as Baby becomes familiar with the songs. - While playing with Baby, sing a familiar song and leave out a key word or sound. Pause and watch for Baby's reaction. As Baby begins to audiate and learns to react this can become a fun game and the source of lots of giggles! - While riding in the car, participate in family sing-alongs. Perhaps the adults can leave out some words that the children can fill in. Baby will want to be part of the fun, too!